ColecoVision.dk Homebrew Section Presents: Òscar Toledo Gutiérrez. Óscar Toledo Gutiérrez is a Mexican software developer, one of his many hobbies is about writing games. He learned to program Z80 microprocessor at age 9. 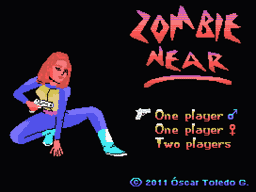 At start of year 2011 he choosed the MSX computer for writing an original 128K game called Zombie Near that got 2nd place at MSXdev'10. 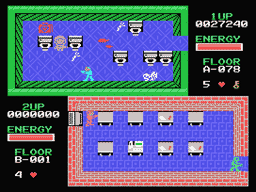 Later he published through Matra an enhanced version in MSX cartridge. reducing it from 128K to 32K and using only 1K of RAM, this version will be published by Collectorvision. 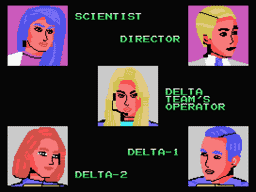 By November 2011, he started writing another MSX game for Matra Cartridges, this time called Princess Quest. Team Pixelboy took the rights for the Colecovision distribution. Óscar did the port and the game is now available as the biggest Colecovision game ever in a 256K MegaCart. Mecha 8 is a MSX space shooter from 2011 by Óscar and filled with lots of action. You'll have to fight a robot in the end of every level. The game is now converted to ColecoVision. The game do not require the Super Game Module, but it supports the sound. Therefore is it strongly recommended that you use the new Super Game Module. To get in touch with Óscar, try this: e-mail.